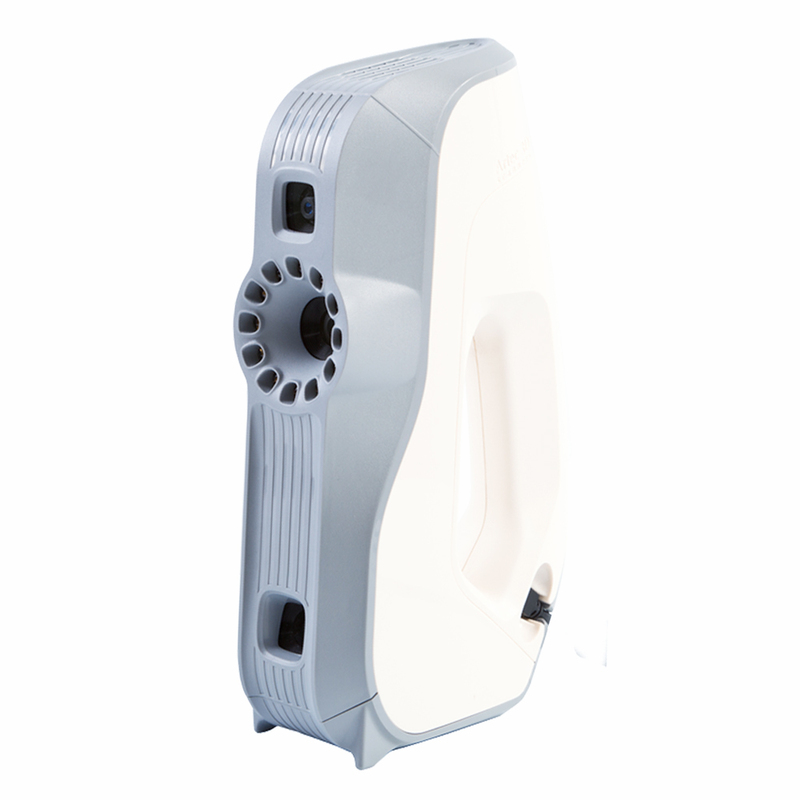 Artec Eva Fast 3D scanner for professionals, this structured light 3D scanner is the ideal choice for making a quick, textured and accurate 3D model of medium sized objects such as a human bust, an alloy wheel, or a motorcycle exhaust system. 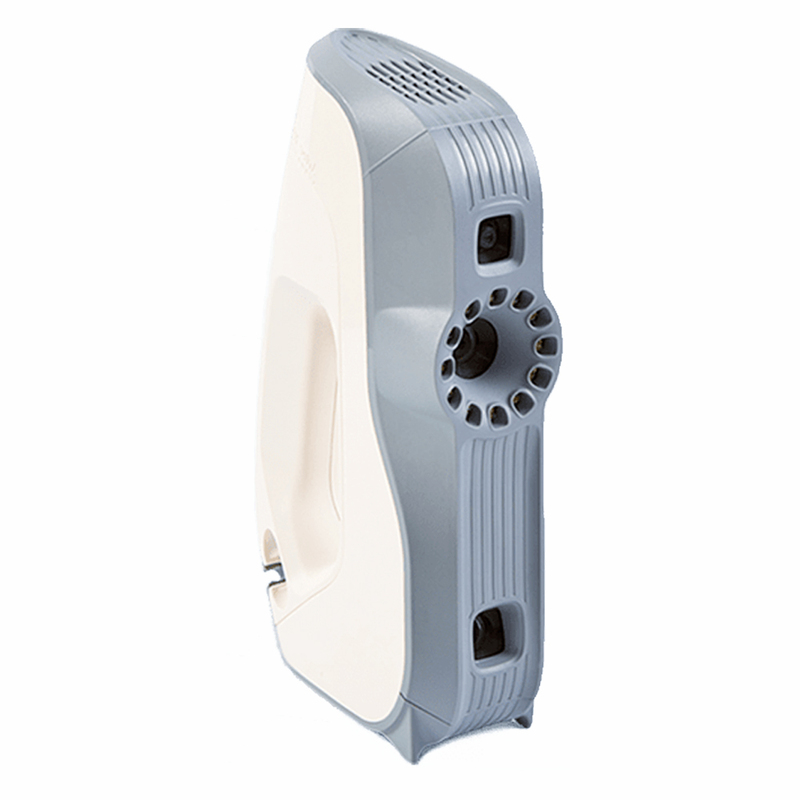 It scans quickly, capturing precise measurements in high resolution. Artec Eva’s ease of use, speed and precision has made it an essential product for a wide range of industries. From rapid prototyping to quality control, CGI to heritage preservation, the automotive industry to forensics, medicine and prosthetics to aerospace, the device is used to customize, innovate and streamline countless forward-thinking industries. Fast capturing speed 16 fps: Capturing and simultaneously processing up to an impressive two million points per second, Eva also provides high accuracy — up to 0.1 mm. 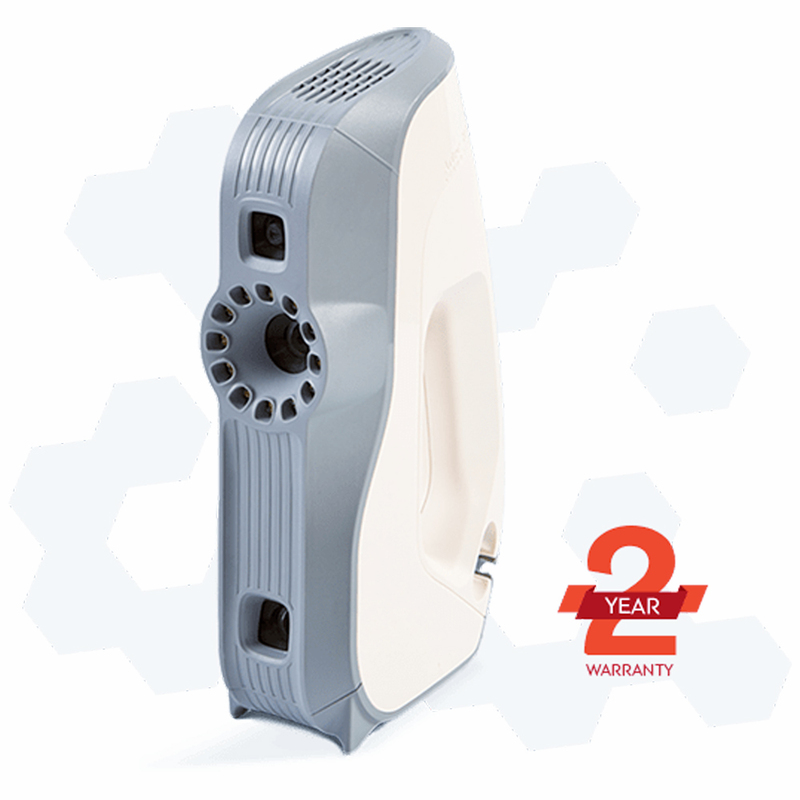 Tablet and battery compatible for true portability: Link up the 0.85 kg 3D scanner to a tablet and the Artec battery pack, which provides up to 6 hours of power, and you can scan practically anywhere, even in areas where there is no source of electricity. Safe to use: Eva uses white structured light technology, making it totally safe for scanning people, as well as inanimate objects. No targets & calibration. Just point and shoot: No need for preparation, just plug in the scanner and point it around the object as you would with a video camera. Simple. Bundling and easy integration: For capturing larger 3D objects or for creating an automatic scanning system, several scanners can be bundled and synced together. 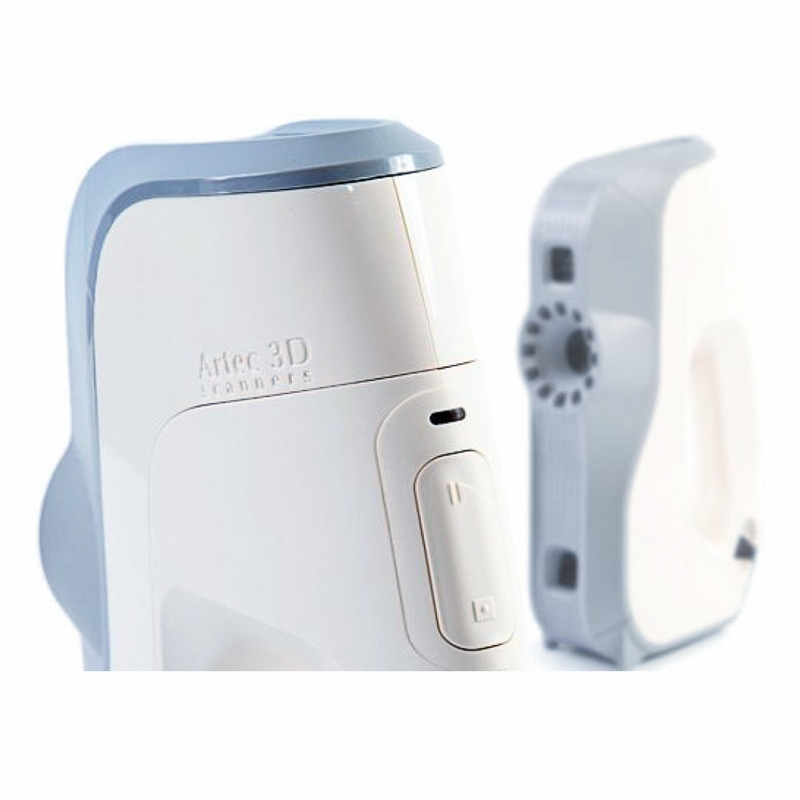 You can also integrate the scanners into your own customized solutions using the free of charge Artec Scanning SDK. Powerful hybrid geometry and texture tracking and capture: Eva is able to read both the geometry and color of the object being 3D scanned. As a result it collects two sets of data by which to track and to perform post-processing. Exposure time 0.0002 sec. 0.0005 sec. Data acquisition speed, up to 2 mln points / sec. 1 mln points / sec.